During the General Motors bailout crisis the public sentiment was one of enragement concerning government intervention. Notably, for some the outcry was [seemingly] there goes the government again sticking their nose in where it does not belong, however, for many with jobs at stake the intervention was one of relief from vast layoffs within the company. Hence, the government’s intervention, although not popular brought relief for many. Conversely, the outcry might be one of ignorance for some. It is the case, that the government has always been involved, not solely with General Motors, but with the transportation industry collectively as a shareholder, and this is the reason for their intervention to protect their investment. Baack (2012) concerning the nature of negotiations and bargaining stated two points of interest, that negotiations are a ‘give and take decision’; and negotiations can be a ‘win-win’ for both parties [The Nature of Negotiations and Bargaining Processes; para 2]. Therefore, the General Motors Company allowance, or rather, acceptance of intervention government diverted further injury to the public, the transportation industry as a collective industry; as well as, the government who were shareholders[and who] negotiated with General Motors, rather than a so called barge-in type scene as the public regarded. Baack (2012) wrote there are three areas to consider in a negotiation; and asks the question concerning preconditions, “Does negotiation present the best option?” The thoughts to consider in this instance are: (a) the psychological climate, (b) the availability of resources, and (c) the characteristics of the bargaining issue. Hence, all these combined should lead to what Baack (2012) considers to be a win-win solution, or rather, an ‘Integrative Negotiation’ process.” [The Nature of Negotiations and Bargaining Processes; para 4]. Considering the availability of sources, becoming a stakeholder allows that the government experts have input into safety standards which for GM obviously were an issue, those along with financial problems. Notably, armed with resources needed, as like money, the US government’s help was well needed. Additionally, it is a give and take type scenario which took place which said, You [General Motors] allow me [US Government] to buy shares in your stock and I [US Government] will in turn bail you out of trouble to avoid a bankruptcy; a win-win. In the article, “5 Keys of Dealing with Workplace Conflict,” Mike Myatt (2012), a contributor to the Forbes blog wrote, “Don’t fear conflict; embrace it – it’s your job.” While you can try and avoid conflict (bad idea), you cannot escape conflict. The fact of the matter is conflict in the workplace is unavoidable. It will find you whether you look for it (good idea – more later) or not. The ability to recognize conflict, understand the nature of conflict, and to be able to bring swift and just resolution to conflict will serve you well as a leader – the inability to do so may well be your downfall. (Myatt, 2012. para.1). General Motors faced bankruptcy as a solution to its problems. Notably, filing bankruptcy can denote one of two things, (a) relief for businesses and individuals who have no other recourse from creditors, and (b) a means of escape from creditors for those who have acted irresponsible. Hence, for General Motors a bankruptcy would not be a good idea because of shareholders, employees, or the public citizens in regards to purchase of cars out on the street. GM will pay a $35 million penalty — the maximum allowed, and the largest ever imposed on an automaker — and will be required to make wide-ranging changes to its safety practices that will be supervised by the government, another first for an automaker. “What GM did was break the law,” Anthony Foxx, the secretary of transportation, said at a news conference. (Wire Reports, para. 2). Notably, in the instance in the industry of transportation the government as a saving factor is seen all around, because not only was GM in trouble financially, but the public as well. This analysis is great because clandestine activity is brought into the light and presumably had it not been for the government’s intervention some activities might never have been seen. In addition to fines, there is also note in the article about employee training going forth which is great for public safety. Baack (2012) wrote, “A stakeholder is a person or group with a vested interest in the outcome of a negotiation. These individuals should tangibly demonstrate their readiness to be seated at the bargaining table. If a stakeholder group is absent or unwilling to commit to good-faith bargaining, the potential to find a viable solution is reduced.” [The Psychological Climate Section; para. 2]. One can surmise, then, that the government’s strategy to become a stakeholder gave them considerable influence in the goings on of the business. Hence, people must realize that government as a shareholder served two purposes: (a) to allow them a stake and profits, and (2) allowed them further insight in company structure. Hence, as shareholder, the government is not only entitled to financial records, but unlawful practices as well which is very good indeed; because, even after selling the stock off the stigma of unsafe practices and unlawful activity allows the government the ability to make decisions for GM’s inability to keep cars safe. Hence, the resolution is continual monitoring by the government. Charisma [Means of Influence in Negotiation Section; Table 7.2]. For this purpose, legitimate, coercion, and expertise will discussed, because of the gravity of the negotiations. Therefore, a concern in the negotiation efforts on GM’s part would be ownership and patent protection in regards to implied take over; along with their need for other expert opinion and know how, other than their own, which the government provided with analysis of the situation as a whole, that is, in the area of safety, finances and public concern were all laid out in the open. To understand coercion, one might look to the fact that had not car makers decided to take the government up on the offer there might have been a halt to the transportation industry. However, as it stands the loss revenue, damaged relations with customers all stand, because of faulty products. Additionally, had the offer not been accepted by General Motors then the government might have used coercion as a persuasive technique to investigate the company without incentive. In conclusion, the steps of conflict resolution as Baack (2012) wrote are thus: (a) Identify the parties involved, (b) Identify the issues, (c) Identify the positions of the parties, (d) Find the bargaining zone, and (e) Make a decision. [ The Steps of Conflict Resolution Section; para. 1]. Hence, the negotiations between the General Motors Company and the US Government are met by acceptance of the government proposal to help, and in turn allowing the government to become stakeholders; which in turn, allowed the government to bring in expertise in financial discovery, as well as, expertise in matter of safety. For General Motors, the need for continued monitoring is needed in compliance to the law and for safety of its customers. However, the matter of a government barge in is far from truth as is the impression for some Americans. It is therefore the case, that a least in this instance the government did the right thing after all. 5 Keys of Dealing with Workplace Conflict. Forbes. 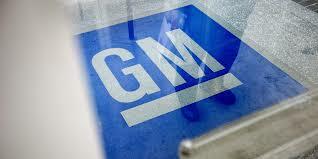 Government fines GM maximum of $35 million for delayed safety recall. This entry was posted in Community, Education, Employment, Ethical, Government, Internet, Local, Professional Blog, Work, Workforce and tagged Bailout, Equal Employment Opportunity Commission, General Motors, Government, Intervention, Negotiation, Stakeholder, Texas Government, United States. Bookmark the permalink.